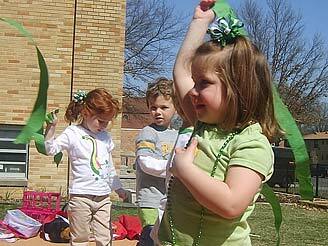 Children are encouraged to explore nature outdoors with their friends at Union Preschool. It’s one of the reasons why educators at the school added a certified Nature Explore Classroom to the school grounds. 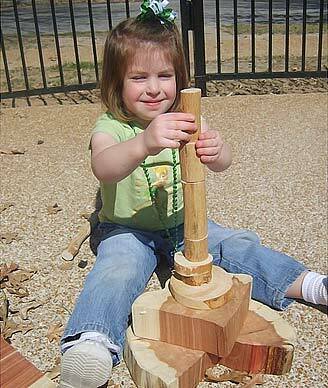 Children enjoy building towering structures made of natural material in the Building Area. Union Preschool’s certified Nature Explore Classroom is called The Children’s Garden. 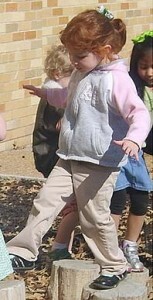 In the outdoor learning area, children are learning to appreciate the natural world. 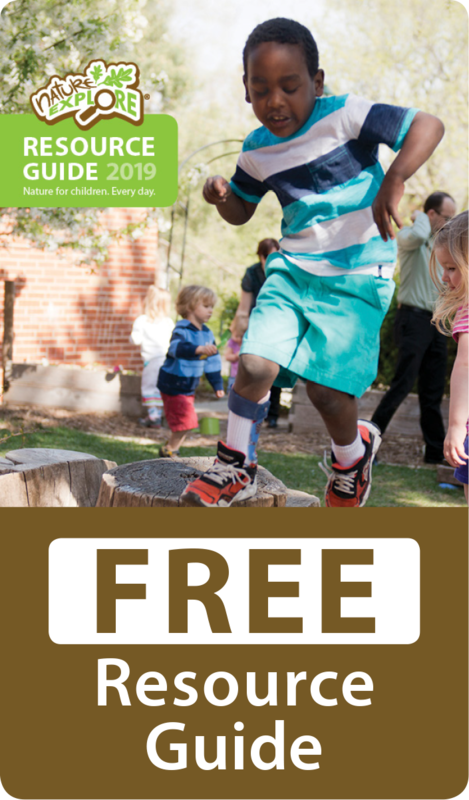 Located in St. Louis, students at Union Preschool are discovering bugs in the garden area, building natural masterpieces with tree blocks, developing balance on natural logs and play music on natural instruments. Parents contributed trees, bushes and flowers to add beauty to The Children’s Garden, which is located in front of the school building in a residential area. Family members are encouraged to plant and care for the trees and plants in the garden. Children dance, sing and make beautiful music with instruments on the stage in the Music and Movement Area.